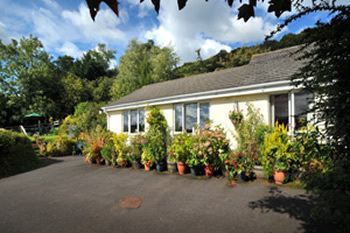 Exmoor View self catering holiday cottage can be found on the edge of the pretty village of Wootton Courtenay. 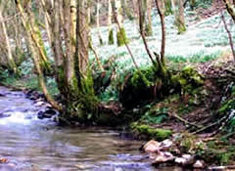 There are many beautiful walks starting near the cottage. 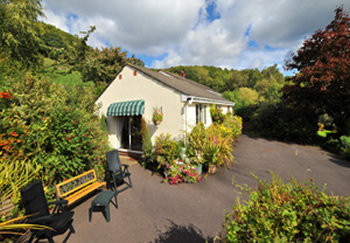 It is in a peaceful idyllic location with far reaching views of beautiful Exmoor countryside and is midway between the popular resorts of Minehead, Porlock and Dunster. 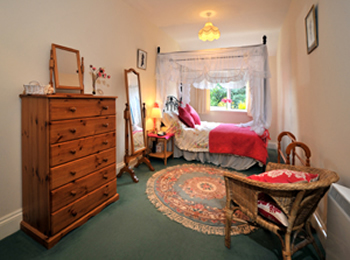 It is a lovely warm, cosy and comfortable pet free accommodation for 2 set on one level. 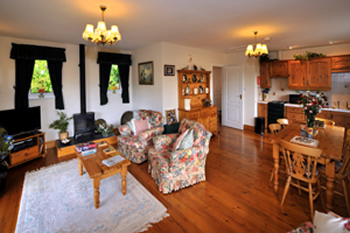 It is in the centre of Exmoor National Park and close to the spectacular North Devon Coast and the beautiful heather clad moorland and fast flowing streams. 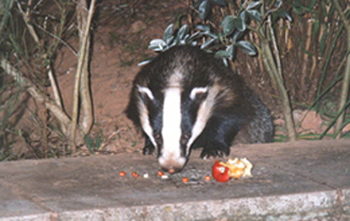 Enjoy the local wildlife and feed the badgers and pheasants in the garden. Spot the butterflies, birds, foxes, rabbits and Exmoor red deer. 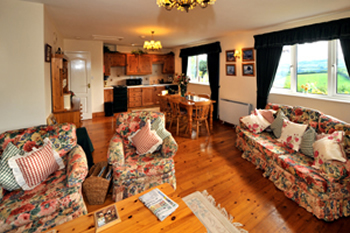 The lounge area has lovely comfortable quality furniture and views across Exmoor. 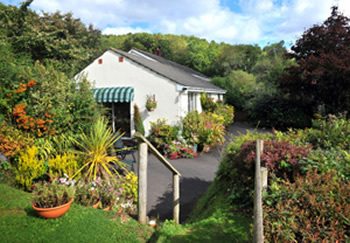 French windows lead out to the patio and garden with its spectacular view towards Dunkery Beacon the highest point on Exmoor. 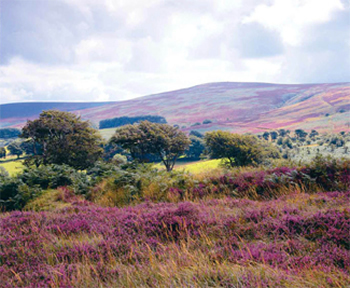 The hills are a real picture in late summer when covered in purple heather. 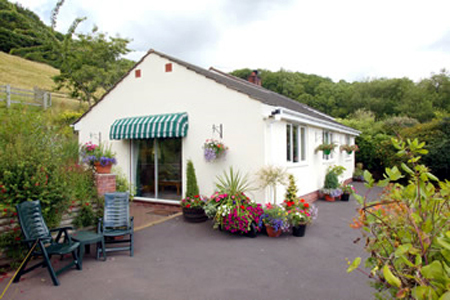 Wootton Courtenay is tucked away in the valley close to the highest point on Exmoor - Dunkery Beacon and is perfect choice for a relaxing holiday. It is a small friendly village with a Post Office/General Store and Parish Church. 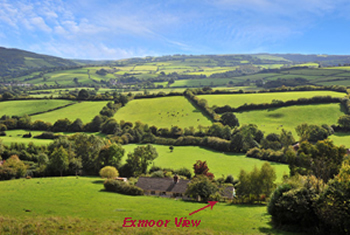 Enjoy a visit to the pretty Exmoor villages and their tea rooms or a ride on West Somerset Steam Railway. The market towns of Taunton, Barnstaple and South Molton are all less than an hour's drive away or visit the Yarn Market and Castle at Dunster. 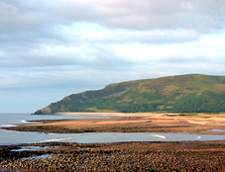 It is ideally placed to visit the glorious sandy beaches of North Devon-Croyde, Putsborough and Woolacombe. 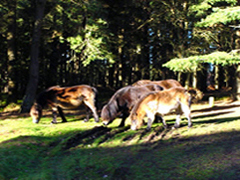 Exmoor National Park with its beautiful scenery, moorland walks and coastal views are at hand for you to enjoy. The Southwest Coastal Path Coleridge Way and Tarka Trail are ideal for walkers and cyclists and not far from your accommodation. 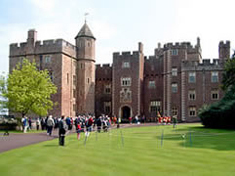 Visit the nearby National Trust properties of Dunster Castle, Arlington Court near Barnstaple and Knightshayes Court near Tiverton for an enjoyable day out. Or maybe a trip to Rosemoor Gardens and Dartington Glass near Torrington. 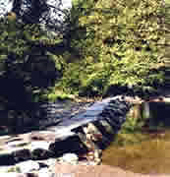 Take a day out to visit Lynton and Lynmouth with a ride on the Cliff Railway or the Doone Valley and Malmsmead made famous by the book about Lorna Doone by R D Blackmore. The choice of places you can visit from here is excellent whatever your taste. 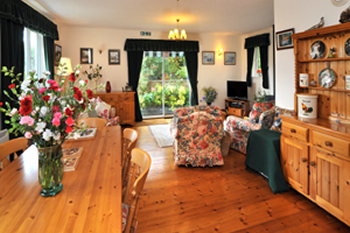 We have stayed in many holiday cottages this has got to be one of the best. Certainly the best equipped cottage. We’ve sat and watched the badgers, the fox and the buzzards, along with the mouse, squirrels and all the different birds.The weather has been wonderful, everything perfect.